﻿ Fly Anvil. Indie flash game development team. 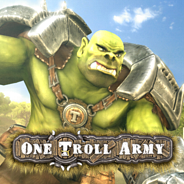 Play as a giant troll in One Troll Army - a defense game about building forts, upgrading your troll, and fighting off waves of enemies. Play Against The Twitch Chat! You can get our Rat Warrior character and use it with Unity3d. Another city taken over with an epidemic awaits you. Fight, conquer, reinforce and protect your growing group of survivors while ridding the metropolis of the plague. Take under control another city full of evil creatures. Now you can crush zombies like insects! Get up to 132% of game progress! Something Bugging You? Insectinate it! Use guns, knives and bombs for the task. As a young chieftain you must to drive tribesmen into their camps in this colorful funny game. The creepy crawlies are getting out of hand—time to call the exterminator! Kaban starts a sport career. Run as many laps as possible. Explore tracks, avoid obstacles, jump, fly with jet packs, buy upgrades, earn achivements. Kaban the Sprinting Boar is no longer happy with just running, now he wants to blow things up as well! Run with Kaban the Boar through 25 exciting levels. Will you help him achieve the goal of his life, and outrun all the 25 levels on the farm? More convincing than a sheepdog, get your boar to bring the flocks home! Feel an adventure life of a boar! Run through the farm maze to achieve cherished aims. Catch certain fishes, various under the form, color and a fin. Find new cute fishes, perform all tasks, catch a gold fish! Play a role of a cupid. You must create couples of hearts striking them by love arrows. Burst balloons with an upgradable slingshot in this challenging, online Arcade game! You can help us to make games faster and better!